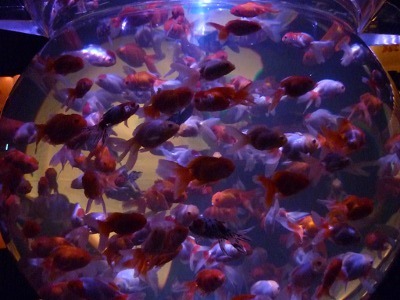 Autumn has come in Japan but let me write about a Japanese summer thing, goldfish. The booths for goldfish scooping game, which are, in brief, like fishing (lol) are invariably found at fairs in summer festivals. Click HERE to read about the game. 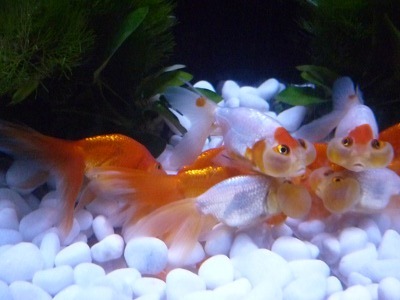 Anyway, I have read a unique post about goldfish. 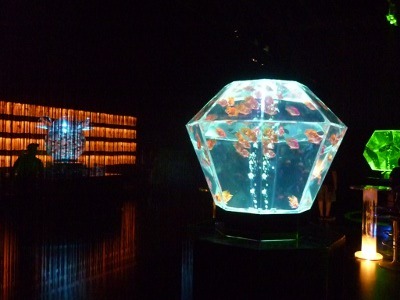 It is about an goldfish exhibition “Art Aquarium” held at an aquarium in August in Tokyo. 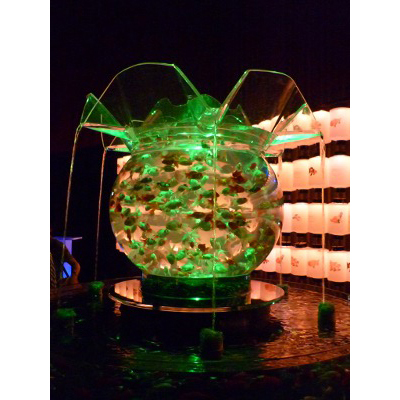 Many goldfish are swimming in the green goldfish bowl like tank. Let’s look at it closer! The tank is lit up red, blue, and yellow. This blue jewel like thing is a goldfish tank too. The place starts looking like a future lab. 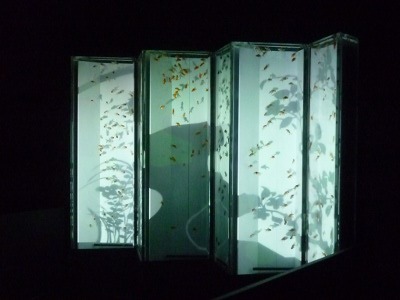 This byobu screen (http://en.wikipedia.org/wiki/Folding_screen) is also a tank. 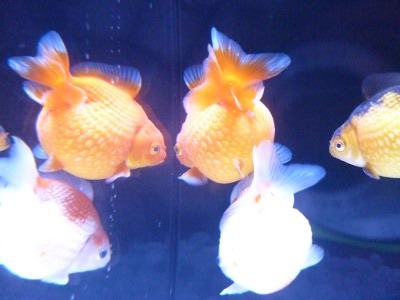 Round bodied gold fish were swimming. Jewel and screen like tanks are fantastic and beautiful. 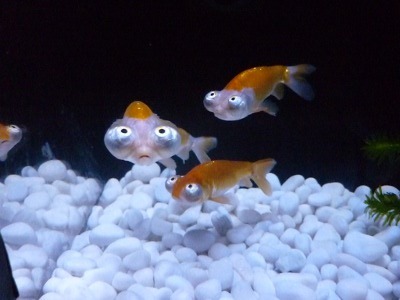 The upturned eyed goldfish are so cute LOL. Unfortunately, I couldn’t go to the exhibition but if they hold it again, I will go.